or enough to serve four. (discard seeds so less hot). 1/4 cup of demerara sugar. mix all ingredients into puree in blender. Place the cooked noodles in individual serving dishes. Pour a portion of Sauce on top. 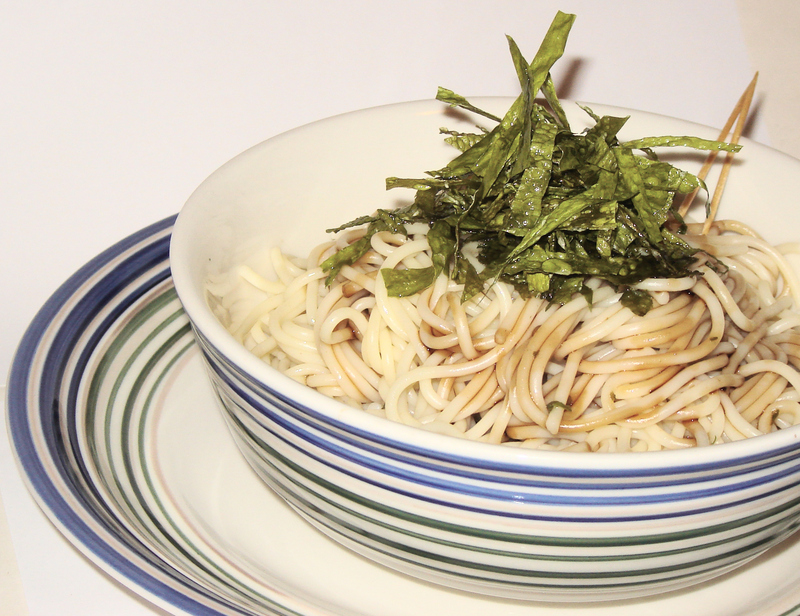 Place a handful of fried Seaweed pieces on top of noodle dish. Serves four, enjoy. Delicious hot or cold.